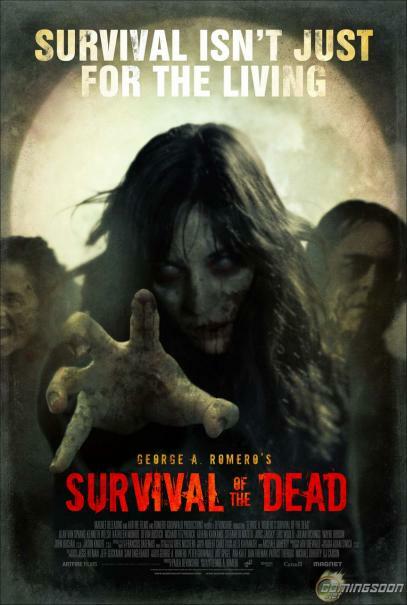 The Rockport Film Review: George A Romero's "Survival of the Dead"
George A Romero's "Survival of the Dead"
George A Romero is the undisputed father of the zombie movie that started in 1968 with “Night of the Living Dead”. Now with “Survival” his sixth “of the Dead” movie, they seem to lose more relevance and purpose with each sequel. The early films were smart, gory and actually scary. While now they are just redundant and uninspired. His zombies have failed to be in the least bit scary or menacing. With all the zombie movies out there you really need to have a great idea or spin to really have a decent shot at a good film. Zack Snyder’s “Dawn of the Dead” remake certainly injected some much-needed life into the genre (pun intended, sucka!). Along with the two “28 Days” films, it has spawned the now age old question of whether you like your zombies fast or slow? I know Romero wants to make a buck and he certainly has the right to, but the “dead” films have more than runs its course.